Junk Farm was founded in summer 2001 by keyboardist Berthold Fehmer and guitarist/vocalist Benjamin Schippritt. Apparently, they got together at a boring student party and decided to form “the best jazz-trio of the Ruhrgebiet in Germany”. With drummer Michael Sticken on board, the idea eventually morphed into Junk Farm, the self-described “Fusion-Trio-From Hell”. Light years from their original intentions, their music fuses metal, hard rock, funk, progressive rock and jazz into a unique and genre-defying whole. With no credited bass player, it is presumably keyboardist Fehmer who holds down the bottom end while also supplying Deep Purple-esque Hammond sounds underneath the hard guitar riffing of Schippritt. Many of the tricky time signatures hint at progressive rock influences, yet few tracks exceed the five minute mark and pieces like “An Eye For An Eye” and “Partymaniac” rock hard enough to kick-start any student party. “Damaged Brain” reduces the intensity to almost ballad level, which in another universe might have given them a successful radio single. Strangely, the most jazz-influenced track is “www.superficial-girl.com”, with the macho-sounding title disguising subtle and intricate playing. Meanwhile, in another startling twist “Great Guy” sounds like a cross between double-speed country and Metallica, if such a thing can be imagined. 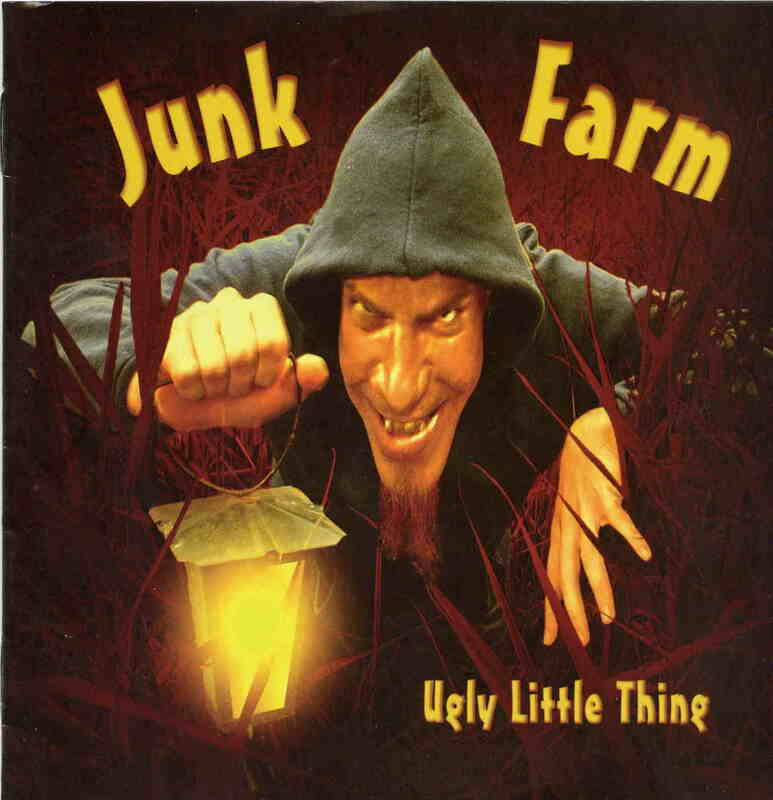 Junk Farm successfully defy description and clearly refuse to be bound by any one musical genre. It is not clear whether they ever succeeded in their ambition to be the best jazz band in Ruhrgebiet, but they might just be the best progfunkjazzrock trio in the world.